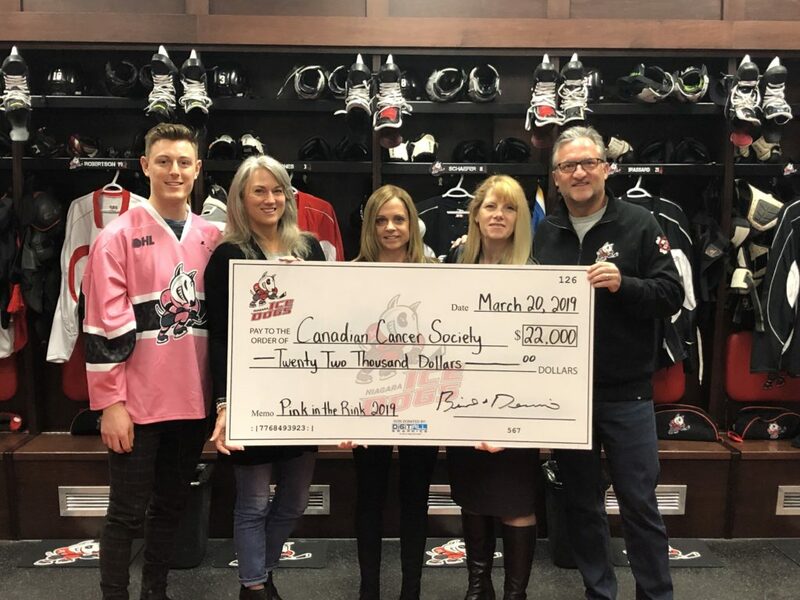 St. Catharines, Ontario – The Niagara IceDogs have announced that the Niagara Branch of the Canadian Cancer Society will be receiving $18,000 from the live auction of the game-worn specialty pink jerseys, from the 7-2 win on January 19th against the Flint Firebirds. All funds raised from the jersey auction will be donated to the Canadian Cancer Society; the IceDogs cover the cost of jersey production. 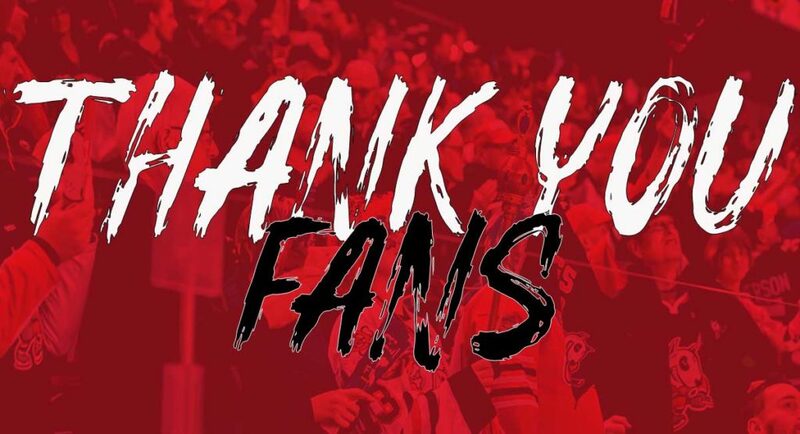 The Canadian Cancer Society raised an additional $4,000 through coin collections between periods, the sale of merchandise at their booth on the concourse, and through our second intermission chuck-a-puck fundraiser. 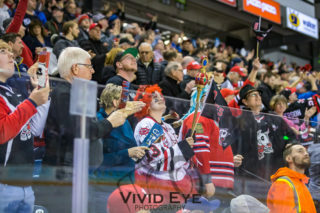 In total, the Canadian Cancer Society raised $22,000 at the game. 2019 NHL Draft eligible forward Philip Tomasino’s jersey was the top selling jersey, going for $900. Niagara IceDogs Captain and Vegas Golden Knights Prospect Ben Jones’ jersey was auctioned for $650. Bradey Johnson’s jersey was auctioned for $600. 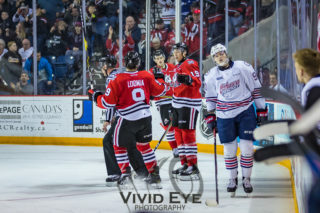 Founded in the 2007-2008 season, the Niagara IceDogs Hockey Club are a member team of the Ontario Hockey League. As 2012 & 2016 OHL Eastern Conference Champions, the Niagara IceDogs are dedicated to excellence on the ice. 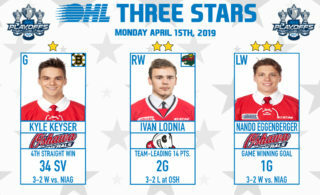 For more information, visit niagaraicedogs.net.